A singularity is a patch of space-time that cannot be made to look flat in any coordinate system, Temple said. One example of a singularity is inside a black hole, where the curvature of space becomes extreme. Temple and his collaborators study the mathematics of how shockwaves in a perfect fluid can affect the curvature of space-time in general relativity. 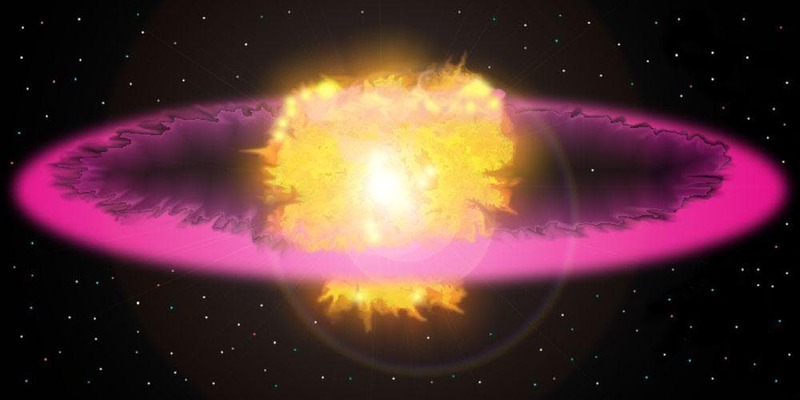 In earlier work, Temple and collaborator Joel Smoller, the Lamberto Cesari professor of mathematics at the University of Michigan, produced a model for the biggest shockwave of all, created from the Big Bang when the universe burst into existence. What is surprising is that something as mild as interacting waves could create something as extreme as a space-time singularity, Temple said. Temple and his colleagues are investigating whether the steep gradients in the space-time fabric at a regularity singularity could create any effects that are measurable in the real world. For example, they wonder whether they might produce gravity waves, Temple said. General relativity predicts that these are produced, for example, by the collision of massive objects like black holes, but they have not yet been observed in nature. Regularity singularities could also be formed within stars as shockwaves pass within them, the researchers theorize. Moritz Reintjes, Blake Temple, Points of general relativistic shock wave interaction are ‘regularity singularities’ where space–time is not locally flat, Proceedings of the Royal Society A, 2012, DOI: 10.1098/rspa.2011.0360* Zeke Vogler, Blake Temple, Simulation of general relativistic shock wave interactions by a locally inertial Godunov method featuring dynamical time dilation, Proceedings of the Royal Society A, 2012, DOI: 10.1098/rspa.2011.035. 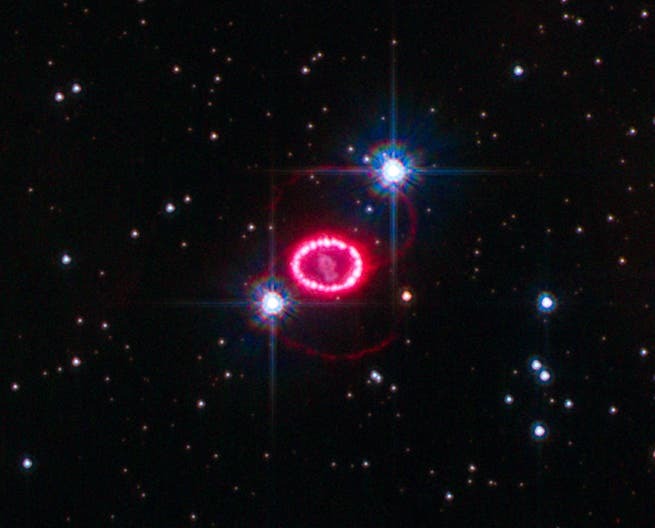 Image below shows thes shock wave around Supernova 1987A captured by the Hubble Space Telescope.